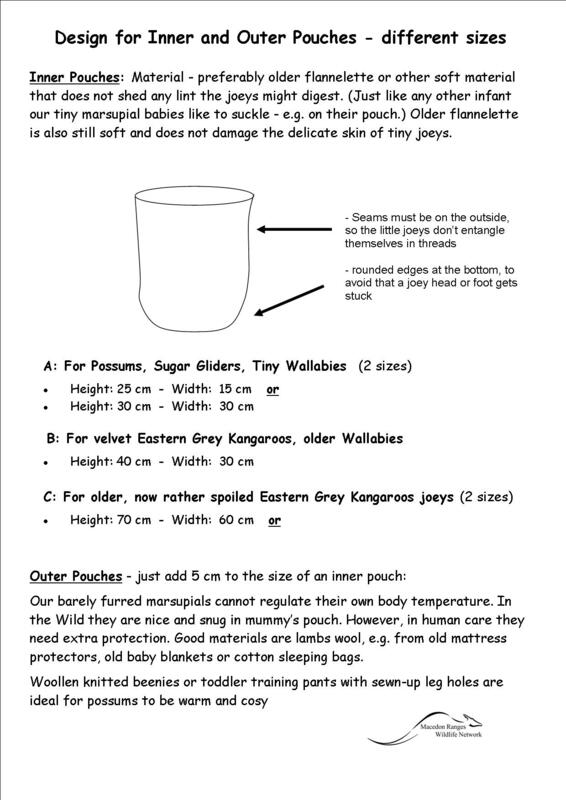 Wildlife carers use 'pouches' to raise orphan marsupials, to try to mimic their natural environment as much as is possible. 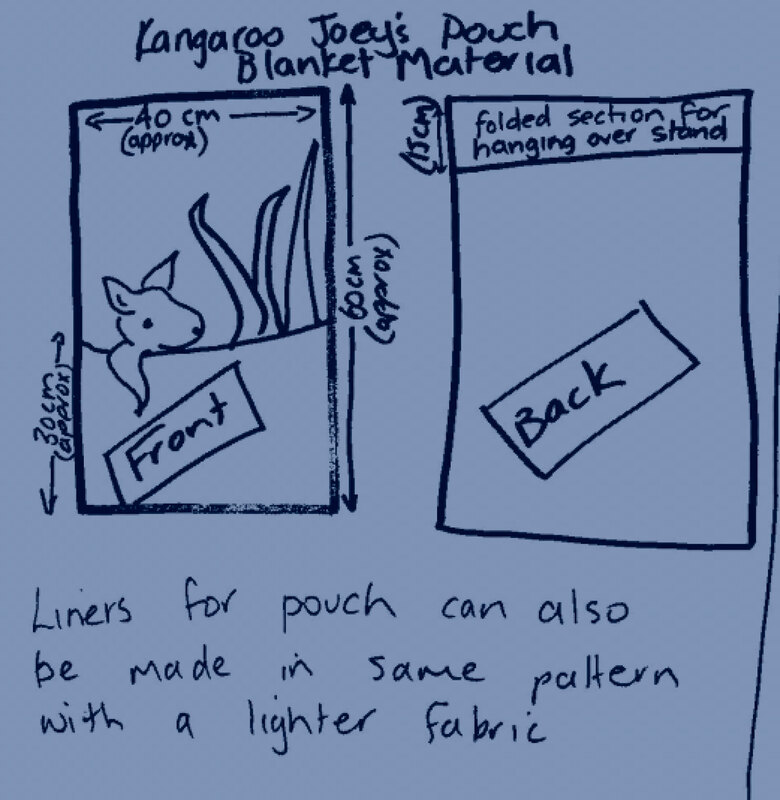 We use 'inner pouches' to create a warm and snuggly space, and 'outer/hanging pouches' to suspend the animals as they would have been in their mother's pouch. Click here for inner/outer pouch design. Click here for hanging pouch design 1*. Click here for hanging pouch design 2*. 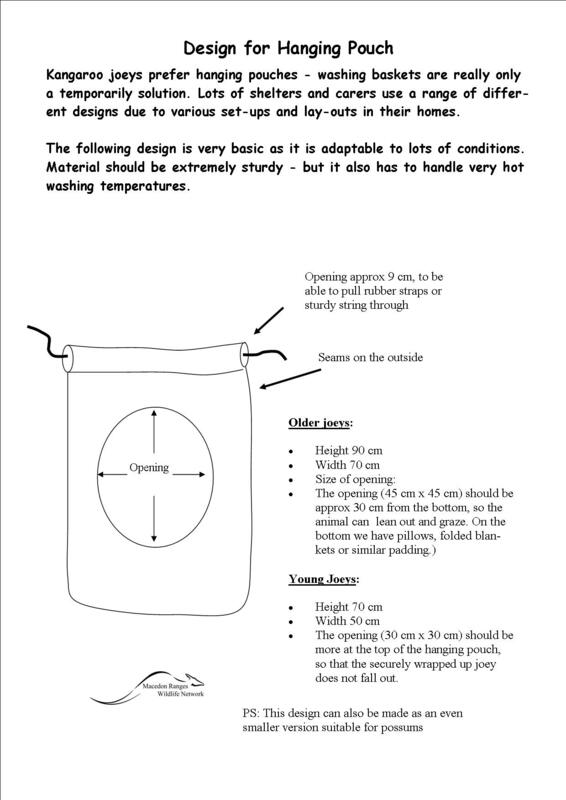 * We have provided two different hanging pouch designs, as different wildlife carers use different pouch arrangements.